The history of St. Paul’s Ev. Lutheran Congregation begins in the year 1888, when Pastor Richard Siegler of Barre Mills began to gather together the German speaking residents of the Bangor area into a congregation. 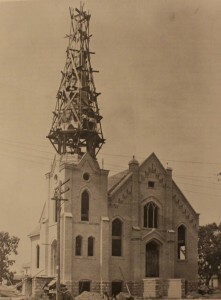 Prospects for that endeavor were not especially bright, and according to the history of the congregation published in 1914 some area residents considered the attempt to organize a Lutheran congregation in Bangor useless and doomed to failure. However, the first service was held December 9, 1888 in the Baptist church. Attendance was sufficient for regular services thereafter. Already on September 22 of the next year 1889, the group was ready to authorize organization which was completed on January 26, 1890. The papers of incorporation listed eleven members (heads of families). They were, Paul Stegeman, Reinhard Streeck, two Ernst Schroeders’, Leopolt Streeck, Edward Streeck, Carl Haas, William Radtke, Dietrich Meinking, Friedrich Schroeder, and Mrs. F. Cassuri. Incorporation papers were signed by Dietrich Meinking, William Radtke, Albert Piske, and Leopolt Streeck. The congregation from its beginning accepted a conservative Lutheran doctrinal position, accepting the Old and New Testaments as the inspired Word of God and as rule and guide for doctrine and life, limiting membership in the congregation to those who would agree with the Augsburg Confession and the Small Catechism of Dr. Martin Luther and would not belong to secret organizations (lodges). After services had been conducted in the Baptist Church for two years, the old school west of Dutch Creek and the property on which the school was located were given to the young congregation. Location of the old school was about the fourth lot west of present 19th Avenue. At the time the road ran just north of the railroad tracks in between the church and the track. When the railroad put in a double track, the road (present HWY 162) was relocated north of the church and houses. When the congregation moved into their new church it was necessary to install benches, a chancel, sacristy, and altar. On Dec. 7th, 1890 the new church was dedicated with two services, German in the forenoon and English in the afternoon. Pastor Richard Siegler being the preacher at both services. By the time the congregation was five years old 40 families has joined. The congregation decided to become independent of Barre Mills and to call a resident pastor. 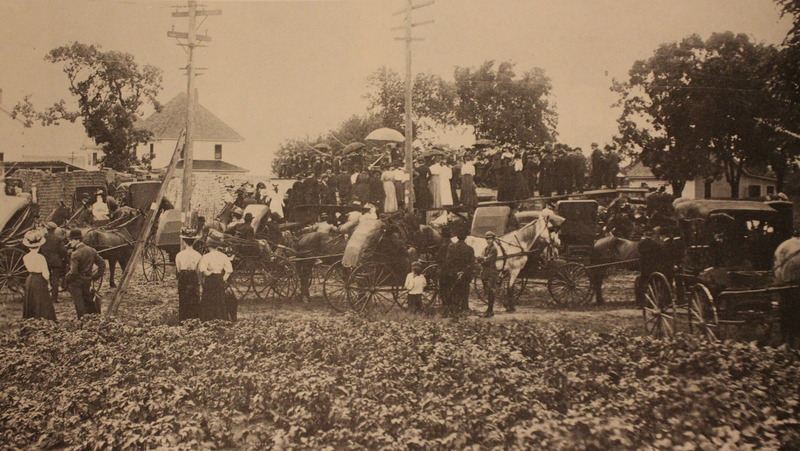 In 1893 the congregation had joined the Wis. Ev. Lutheran Synod. 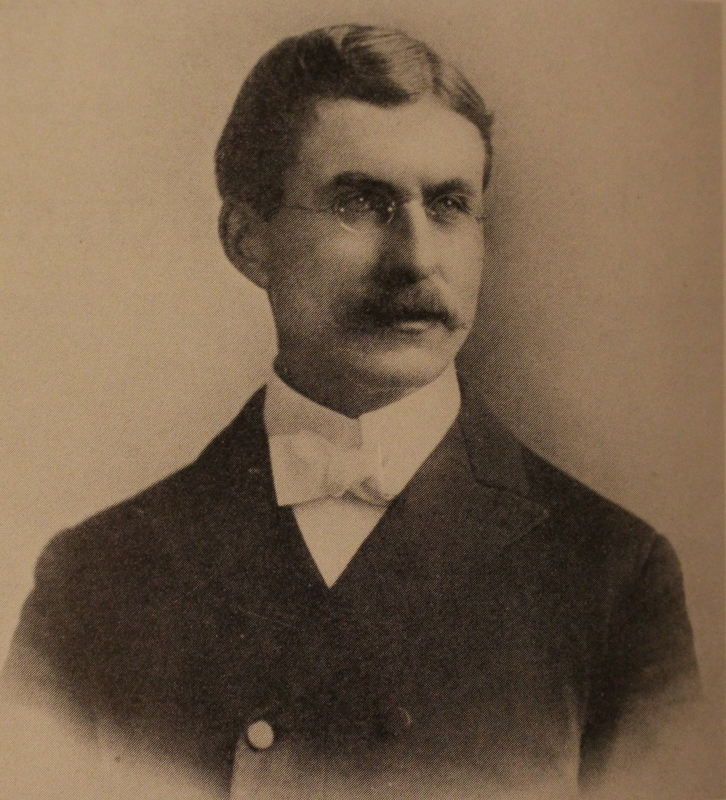 Pastor Theodore Hartwig was installed as the first resident pastor of the congregation on September 15, 1895. Pastor Hartwig and his family first lived in the hotel south of the tracks just west of the foot-bridge in the Park. 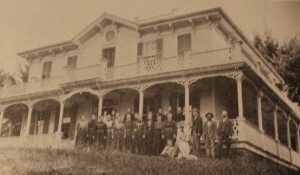 The hotel was divided into two homes. They are the first and second homes west of Dutch Creek on Bangor St. Probably the outstanding event in the history of the congregation during Pastor Hartwig’s ministry was the purchase of the property that served as a parsonage until 1923. This property was located on Fairview St. just north of the cemetery. Pastor Hartwig established a Christian Day School and served as a teacher. The congregation became interested in the synod mission work at that time. A Ladies Aid Society was also in existence but did not continue to exist as the present Ladies Aid was founded in 1909. Older members of the congregation recalled that Pastor Hartwig chanted some of the services such as Communion and Festival services. His ministry in Bangor was terminated when in 1904 he accepted a Call to serve the congregation in Naugart. Pastor William Rader was called as the second resident pastor on October 9, 1904 and installed on October 30th. 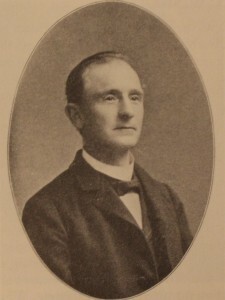 His ministry in Bangor lasted to November 8, 1908. During this time the congregation was concerned with the question: Shall we build a new church? And if we build, where shall it be built? Resolutions were passed to build at the site near the cemetery. Resolutions were passed not to build. The question of location was settled on November 2, 1908, two weeks after Pastor Rader had accepted a Call to Prairie du Chein. At that time the decision was made to purchase three lots on which the present church and parsonage are located. The purchase price was $1,000.00. Pastor C.W. Siegler was installed as Pastor of St. Paul’s Ev. Lutheran Church on January 31, 1909. Less than three weeks later the congregation voted unanimously to build a new church – cost not to exceed $7,000.00. The new Church cost $11,000. As soon as the basement was ready to be used Pastor C.W. 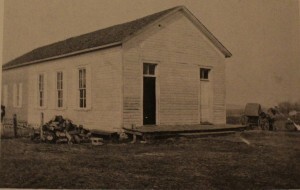 Siegler reestablished the Christian Day School and taught for five years until September 1914 when the congregation called a lady teacher. Pastor C.W. reorganized the Ladies Aid in 1909. A Ladies Sewing Circle was organized in 1930. Very much interested in choir work, Pastor C.W. Siegler capably conducted male and mixed choirs until teachers trained to lead choirs were called. A Young Peoples Society was organized in 1934. The parsonage next to the church was built in 1923. Pastor C.W. 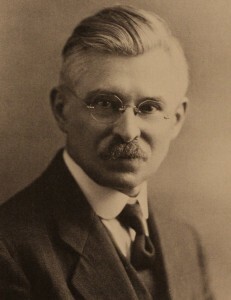 Siegler’s ministry spanned two World Wars, era of prohibition and era of the Great Depression. The change from German only in sermons and instruction occurred during this time. When Pastor C.W. Siegler retired in September 1946 only one service a month was conducted in German. William Dahl was engaged to quarry stones for the foundation of St. Paul’s Lutheran Church in 1909. 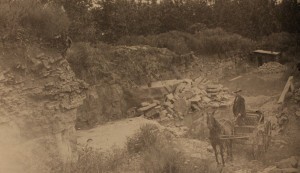 Members of the congregation hauled the stone by sled from the quarry located on the north ridge above Tammarack Coulee. Sledding was good that year. Members also came with teams to excavate the basement. This picture was taken in June 1909, shows the laying of the cornerstone for St. Paul’s Ev. Lutheran Church. The potato patch in the foreground belonged to the late R.M. Jones. The various articles, which were placed in the cornerstone, such as, church papers, a bible, catechism etc., were all printed in German. The members of the church hauled the rock for the basement from Burns. Albert Gutzke, La Crosse was the contractor. The church was dedicated in October of the same year. Serving the congregation was Rev. C.W. Siegler. New Church Under Construction Note steeple and windows. This parsonage, the first for St. Paul’s Congregation was located just north of Fairview Cemetery on the hill. Pastors Hartwig, Rader, and C.W. 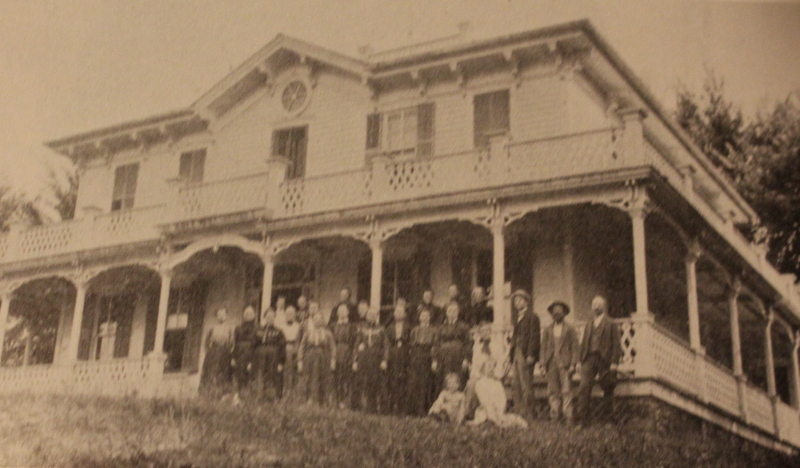 Siegler and their families occupied this parsonage in turn until the present parsonage was completed in 1923. 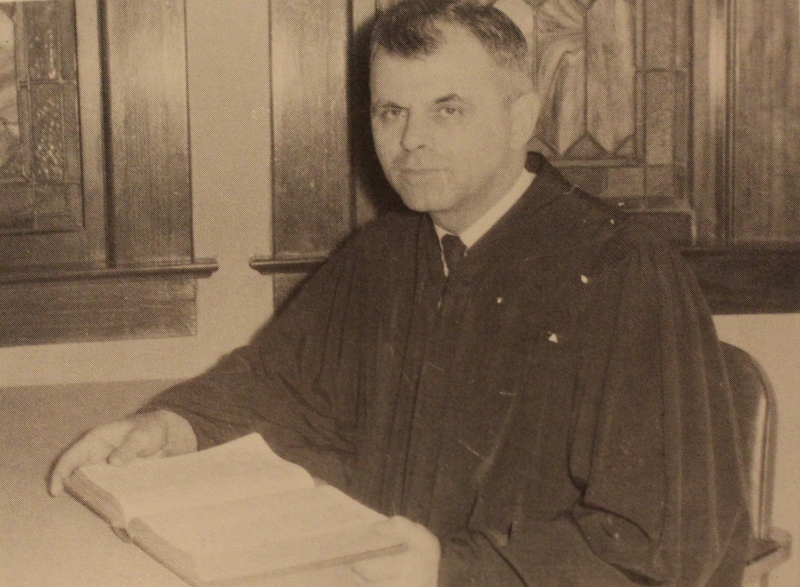 Pastor Arden Stuebs was installed as Pastor of St. Paul’s on September 15, 1946. He also had served previously as a teacher in our Christian Day School. Pastor Stuebs guided the congregation in constructing a new long needed School which was dedicated in 1953. A third teacher was added in 1961. 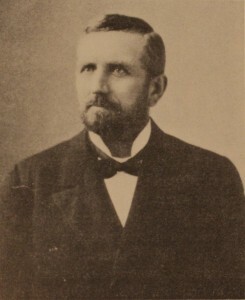 Pastor Stuebs also was instrumental in formulating plans for establishing Luther High, Onalaska. Pastor Stueb’s ministry in Bangor was terminated when he accepted a Call to serve a congregation in Brillion, Wi in 1961. After serving Brillion 15 years, Pastor Stuebs accepted a Call to LeSueur, MN serving until his retirement in June 1983. During retirement he served Portland Lutheran Church until 1987. 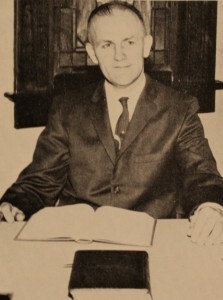 Pastor R.A. Siegler served St. Paul’s from July 22, 1961 to July 1984. Having been called from Rock Springs, Wi. 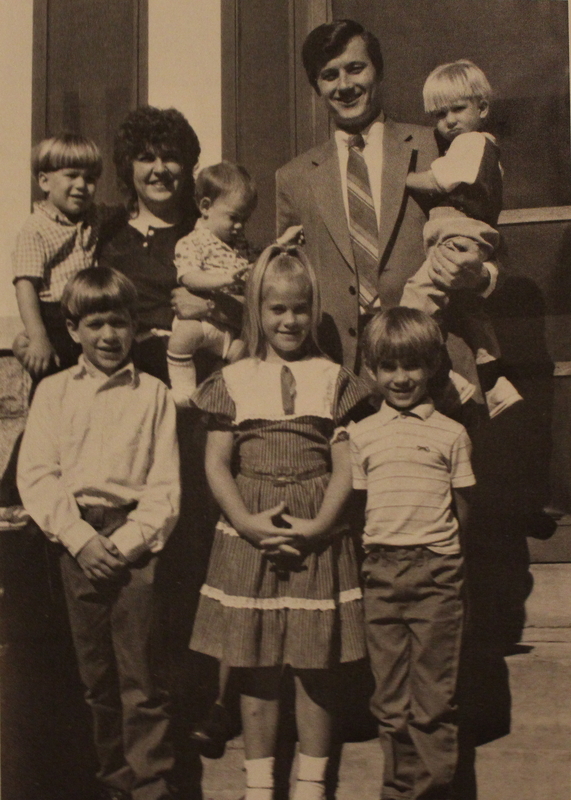 During Pastor Siegler’s ministry occurred the “burning of the mortgage” on the school property in 1962, insulation of the church ceiling in January of 1963, purchase of a new Hammond organ in 1964, completion of the basement remodeling (lavatories) accomplished through a Birthday Fund started in 1962. Also the addition of three classrooms and gymnasium to the school and increase in school faculty from two to four and one half (Kindergarten). In addition to directing the Senior Choir, school choirs and composing many anthems, Pastor Siegler also served on the Northwestern College Board of Control, for many years as chairman; also membership on the Synod’s Advisory Commission on Education and, later, the Commission on Higher Education. Pastor Roy Hefti was born in La Crosse, WI. He was a member of Immanuel Lutheran Church and graduated from Luther High School in 1971. He attended Northwestern College, Watertown. After graduating in 1975 he attended the seminary and served as vicar in First Lutheran Church, Racine, WI graduating in 1979. Pastor Hefti served Divine Peace, Mississauga, Ontario, Canada until July 1984 when he was installed as Pastor of St. Paul’s Lutheran, Bangor.